There is no sincere love than the love of food. Whether you are looking for a way to kick your barbecue up a notch or you are just feeling adventurous it would be smart to consider cooking with wood chips. According to Brian Barnett who is the Director of Specialties at Char-Broil, “When done right, smoke flavor is the perfect addition to any grilled dish. It elicits the taste of grilling over an open fire, which gives you that traditional BBQ flavor.” Many people try to imitate the smoke flavor by using liquid smoke in their cooking. However, the best way to achieve that authentic flavor is by smoking your meats. 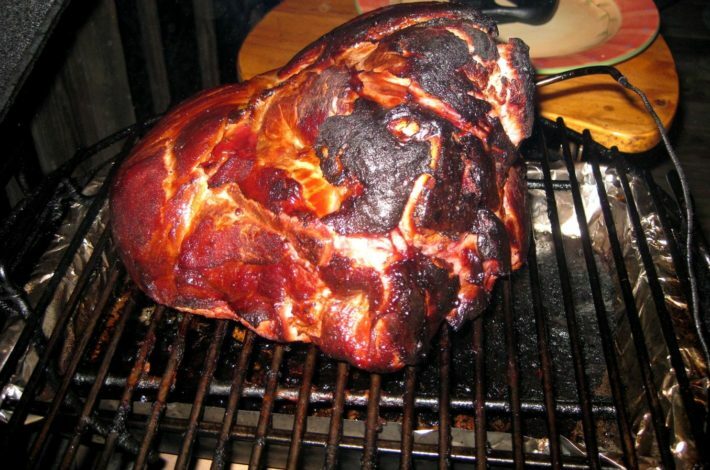 Cooking on cherry wood would be an excellent choice for someone who is new to the world of smoking with wood since they can be assured that whatever meat they choose will go well with the flavors that the cherry wood smoke produces. Even if you are not a beginner it could be worthwhile to use cherry wood instead of any other less than perfect meat and wood pairings you have tried in the past. You can also try to mix cherry wood with different types of wood to produce an even more complex flavor profile. Noma Nazish elaborates on the flavors produced by cherry wood and the different recipes you can make with it in her article that will inform you of the best wood and food pairings to try. “With a sweet, and mildly fruity flavor, it’s a safe wood choice that works well with all meats and vegetables alike. Recommended recipes: Smoked Cherrywood Spare Ribs and Cherry Wood Smoked Turkey With Sour Cherry Sauce. Serve it with chilled Merlot or good ol’ Pinot Noir for extra kicks,” says Nazish. There is virtually no excuse to not try smoking with wood chips even if you do not own one of those big fancy expensive smokers. According to Adam Easterling you can use a very common item you most likely have in your kitchen right now to allow you to use wood chips when barbecuing with your typical grill. “When using a grill to cook ribs, you’ll need to handcraft an aluminum foil bag for your chips,” claims Easterling. This is such an affordable and easy way to incorporate wood chips into your barbecue. Useful to anyone not willing to shell out the money for a smoker he details in his article the steps that you need to smoke meats without a smoker. It is easy to always fall back on tested and true cooking methods, but it can be fun and rewarding to experiment with different methods like smoking with wood chips to elevate your food and impress your family and friends. Best Instant Pots Solve All of Life’s Most Pressing Issues?